High cholesterol and other medical conditions may affect the results of an HbA1c test. A blood test that measures a person's blood surgar level is the HbA1c diabetes test. A blood sample is taken for the HbA1c diabetes test. The HbA1c diabetes test is a laboratory blood test that indicates an individual's long-term blood sugar level over a span of weeks. In conjunction with daily glucose monitoring done at home, the HbA1c test is used to measure how well the person's blood sugar is being controlled by medications, diet, and exercise. This test is also sometimes used to aid in the initial diagnosis of diabetes. The HbA1c diabetes test is alternately referred to as the hemoglobin A1c test, the glycated hemoglobin test, or the glycohemoglobin test. Hemoglobin, sometimes abbreviated as Hb, is a protein in the blood that carries oxygen. In uncontrolled diabetes, a high level of blood sugar leads to the formation of glycated hemoglobin. The HbA1c test measures the amount of glycated hemoglobin in an individual's blood to provide a long-term assessment of blood sugar levels. Individuals with high HbA1c levels are at higher risk of certain diabetes complications, such as nerve damage, heart disease, stroke, and problems with the eyes or kidneys. The HbA1c diabetes test is performed in a laboratory after a sample of blood is drawn from the individual. 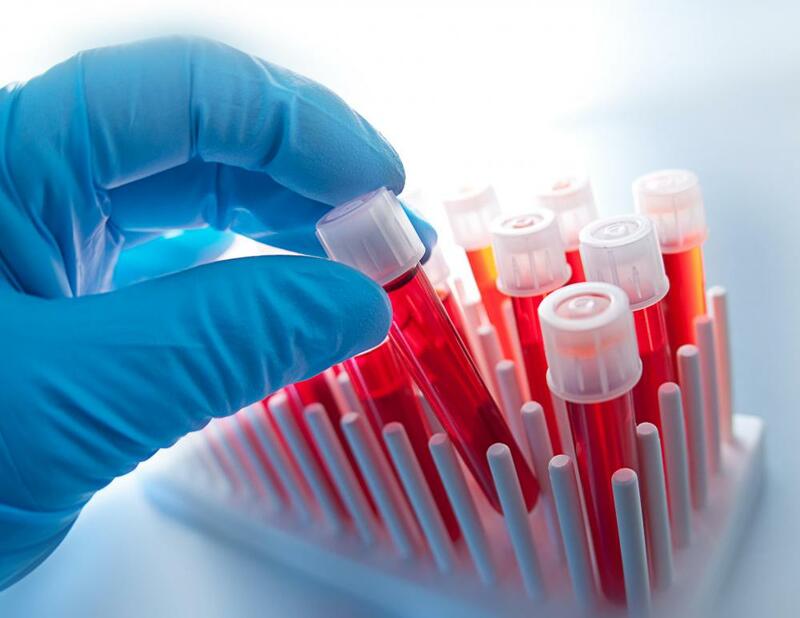 A process called high pressure liquid chromatography is used to separate the blood sample into its various components, in order to distinguish the HbA1c molecule from other types of hemoglobin. Finally, the level of glucose in the HbA1c molecule is measured. A high level of HbA1c indicates a high level of blood sugar in the individual's blood overall. A normal test result for a person without diabetes would fall in the range of 4-6 percent, and 6.5 percent is generally considered an indicator for diagnosing diabetes. A result under 7 percent might be appropriate for a diabetic person who is actively managing the disease. 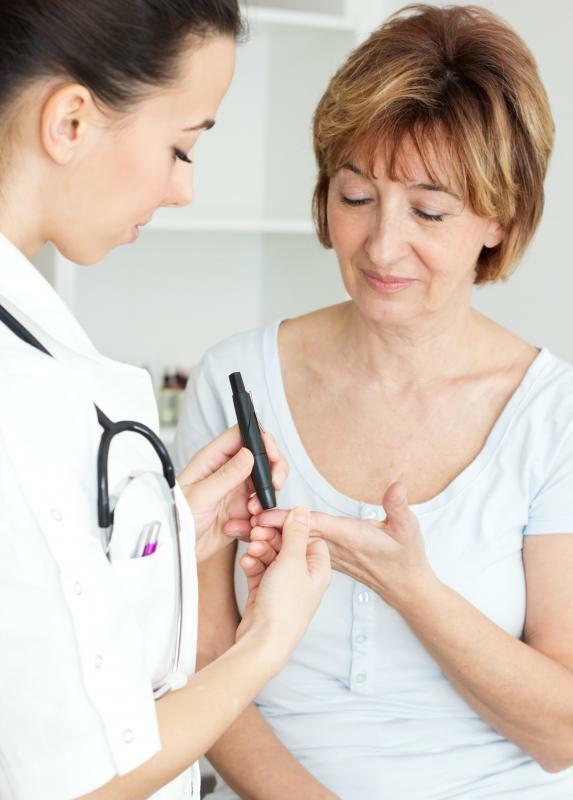 Each diabetic person must confer with a doctor about which HbA1c level represents successful blood sugar management for his or her individual case. The HbA1c diabetes test is not affected by daily fluctuations in blood sugar, such as those that are monitored with home tests. Rather, it is a long-term measurement of how successfully the disease is being managed. It is generally recommended that the HbA1c test be taken every 3 to 6 months, depending on the current stability of an individual's diabetes management. 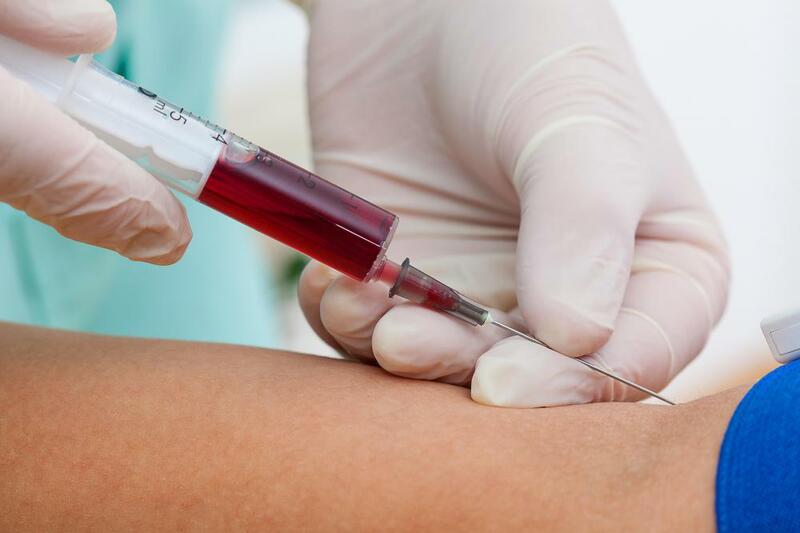 Some other medical conditions may affect HbA1c diabetes test results. A person with high cholesterol levels, liver disease, sickle cell disease, kidney failure or anemia may get inaccurate results. Other factors affecting the test include heavy use of alcohol or taking some kinds of vitamin supplements. Bottom line: You want that A1c number under 6 for as long as possible if you want to keep this thing controlled. The longer you keep it under control, the more likely you are to continue that trend. The A1c is the "cheat detector." A diabetic can behave for three or four days and get a decent fasting blood sugar reading for the doctor's office, but the A1c always knows. It will always catch chronic misbehavior. It's also a good way to keep up with trending blood sugar levels. An A1c that has been good, but spikes may signal a problem that needs attention. sugar if they have an infection, or have been on steroids. If this happens within four weeks or so before an A1c test, the result will probably be higher, but if the doctor knows about the infection, he or she can take that into consideration when reading the blood work results.